Robert Luff & Co are delighted to offer to market this newly refurbished second floor flat ideally situated in this favoured Goring location among Wallace Parade with local shops, bus routes, the seafront and mainline station nearby. 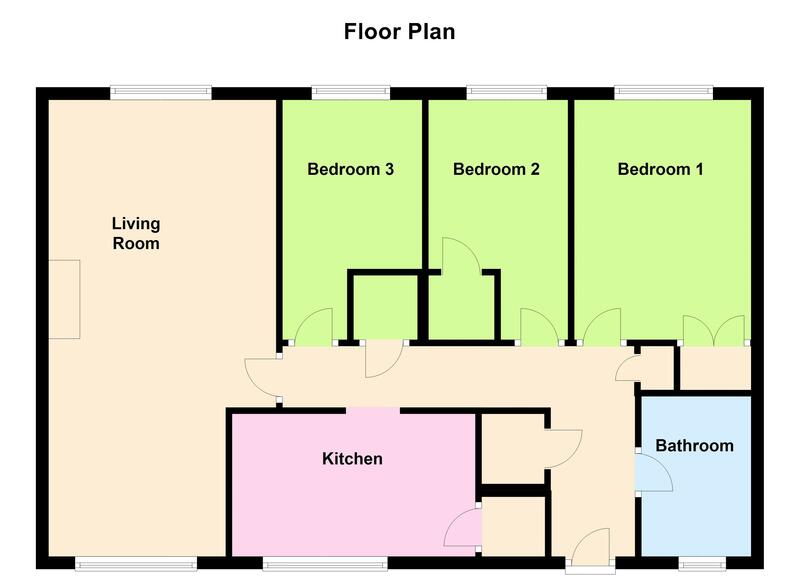 Accommodation offers entrance hall, modern kitchen, spacious living / dining room, three bedrooms and a family bathroom. Other benefits include NO FORWARD CHAIN. Double glazed door to hallway, storage cupboard with shelving, further cupboard with electric fuse board, loft hatch, thermostat, airing cupboard with tank and slated shelving. Double glazed window to front, further double glazed window with distant sea views, two radiators, tv point, dimmer switch. A range of high gloss wall and base units with stainless steel sink and mixer tap, four ring gas hob with oven below, extractor fan above, space for washing machine, space for fridge freezer, wood effect flooring, double glazed window with distant sea views, small breakfast bar, radiator, larder cupboard with new Viessmann boiler. Double glazed window to front, radiator, wardrobe with hanging space. Double glazed window to front, wardrobe with hanging space. Panel enclosed bath with mixer tap, fitted over bath shower, low level flush w/c, wash hand basin set into vanity unit, floor to ceiling tiles, frosted double glazed window, radiator.